Just Hangin Around with Tobie! This digi was lots of fun to color, and I found that flipping the image while coloring helped to get the shadows in places where they made sense. 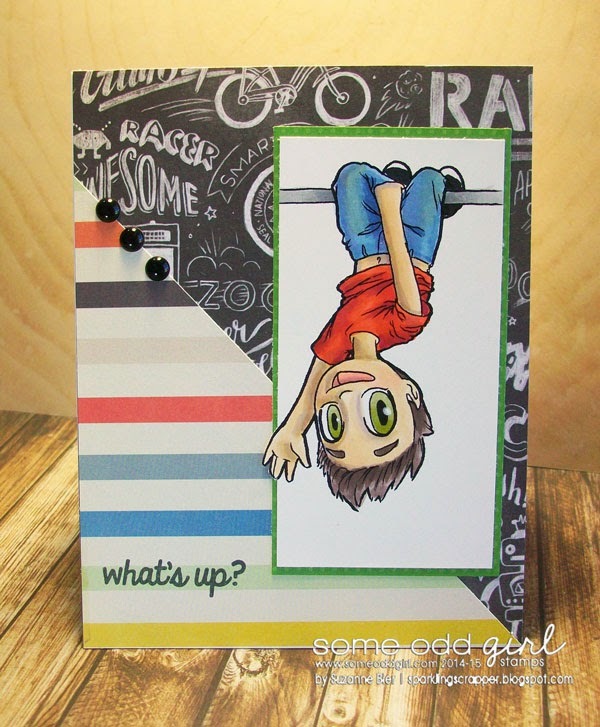 You can check out the inspiration behind the digi and find out what our guest Krystal and the rest of the DT made with Hanging Around Tobie at the Some Odd Girl blog! Love the papers you used with this image. FUN card!